"I researched 5 companies before hiring these guys. This included insurance verification, BBB, consumer complaint sites... These guys had no issues at all. I learned it's common to have delays, appointments rescheduled and other aggravations dealing with contractors. I had NONE of this with Billy. He delivered everything he promised and made the insurance paperwork hassle free. I'm very satisfied and highly recommend him." Dimensional Contracting is a top rated attic insulation, radiant barrier and roofing contractor company serving Arlington, Fort Worth and surrounding communities of North Texas. Call (817) 966-9605 for a fast, free, no obligation pricing quote. 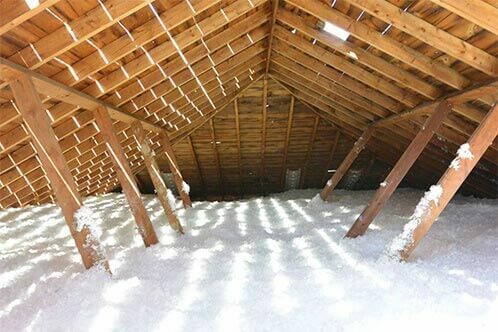 The effectiveness of attic insulation is measured by its resistance to heat transfer, which is also known as the R-value. 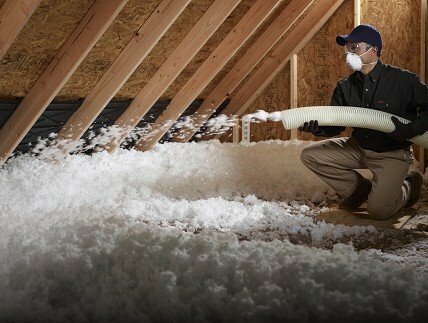 Having properly installed attic insulation means your HVAC unit works less to keep your home comfortably heated and cooled. And that means less electricity consumption and lower utility bills year round. Technically, radiant barrier is not an insulation product. However... combined with proper levels of attic insulation, a radiant barrier will dramatically improve the insulation efficiency of your home. 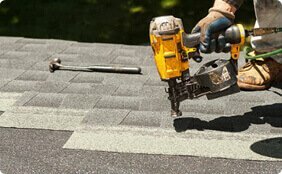 By reflecting the sun's heat from entering your attic. To get maximum comfort in your home year round, we highly recommend upgrading your attic with insulation and radiant barrier. Attic temperature can climb to over 140 degrees in hot Texas summers, resulting in your air conditioning system working much harder to keep your home comfortable. 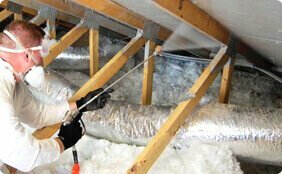 Professional attic insulation installation is a must-have energy saving upgrade and Dimensional Contracting is an award winning attic insulation installer. Call for a fast, free, no-obligation quote and enjoy the comfort of your air conditioned home along with greater energy savings. Walls, ceilings, and the attic is the source of most air leakage in a house, so it’s no wonder that a properly insulated home can reduce your energy bills by 10-50%. 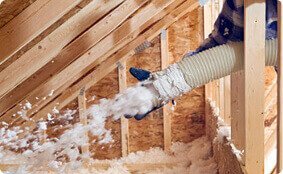 When you’re ready to invest in proper insulation with the right R-Value and the resulting savings, contact Dimensional Contracting Home insulation installers. Our highly-reviewed insulation installers will arrive promptly and complete a thorough upgrade of your home’s insulation, leaving no mess and making no fuss so that you can enjoy every aspect of a professionally insulated home and attic. Call us for a free estimate.